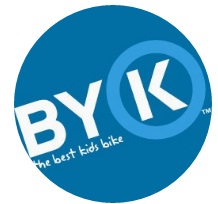 The ByK Bike was born from one father's desire to build a bike that was made specifically for children. One that was suitable for a child's growing body and differing proportions to that of an adult. Motivated by the belief that good design has the capacity to change kid’s lives, Byk was born from a need to offer a bike that could be ridden with ease and safely enjoyed by children.